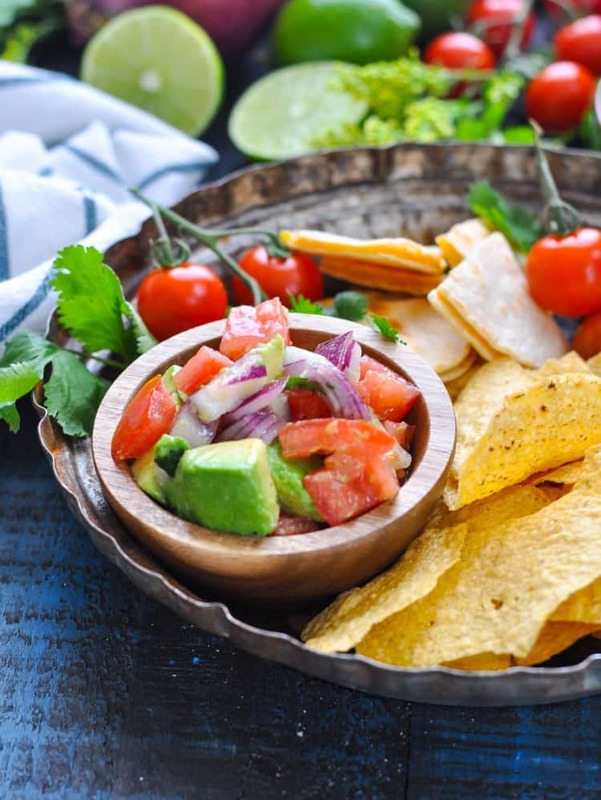 Whether you're serving quesadillas, fajitas, tacos, or nachos, this Quick and Easy Pico de Gallo is a perfect 10-minute addition to any Mexican-inspired meal! 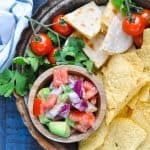 Whether you’re serving quesadillas, fajitas, tacos, or nachos, this Quick and Easy Pico de Gallo is a perfect 10-minute addition to any Mexican-inspired meal! 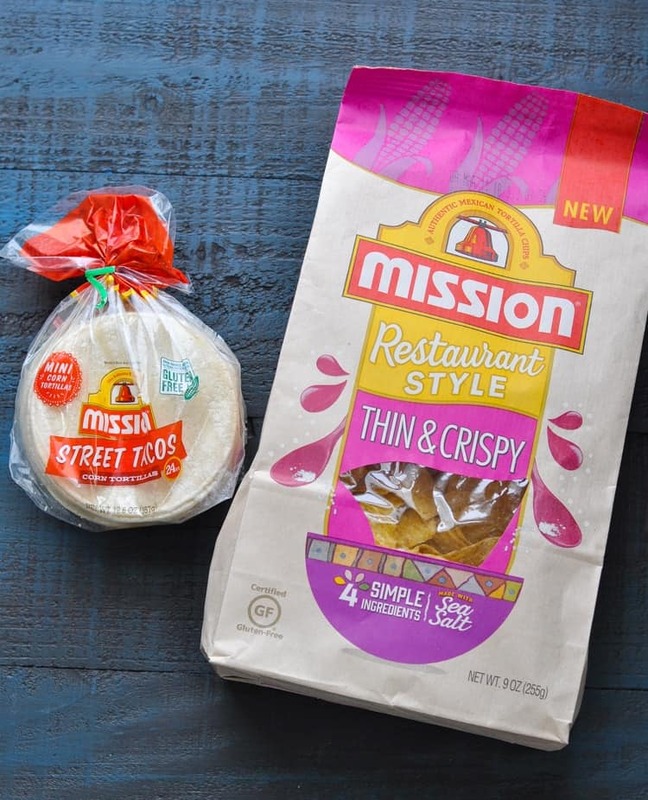 Grab your Mission® Thin & Crispy Tortilla Chips and your Mission® Street Tacos Corn Tortillas, because we’re having a Cinco de Mayo fiesta over here! If there’s one cuisine that I can always count on to be a hit with friends and family, it’s definitely Mexican food. After all, between the zesty seasonings, the cheese, the chips, and the fresh veggies, there’s something for everyone to love. Cheese quesadillas make a regular appearance on our weekly menu because the kids devour them, while chips and dip are a staple at any party with friends. Add margaritas and fresh pico de gallo and you’ve got a truly festive experience! Best of all, with help from our favorite Mission products, you can pull together a flavorful, crowd-pleasing menu in a matter of minutes — just in time for Cinco de Mayo! Pico de Gallo is a fresh Mexican salsa sometimes also known as Salsa Cruda (raw salsa). It’s made from fresh tomatoes, red onion, chili peppers, cilantro and lime juice and is super refreshing served simply with chips or as a topping to quesadillas and tacos. The main difference between this a regular salsa is the texture. Pico de gallo is much chunkier and uses raw ingredients only. You’ll find that regular salsa is wetter as it’s usually blended to a fine consistency. Have you tried the Mission Street Tacos Corn Tortillas or the Thin & Crispy Tortilla Chips yet? 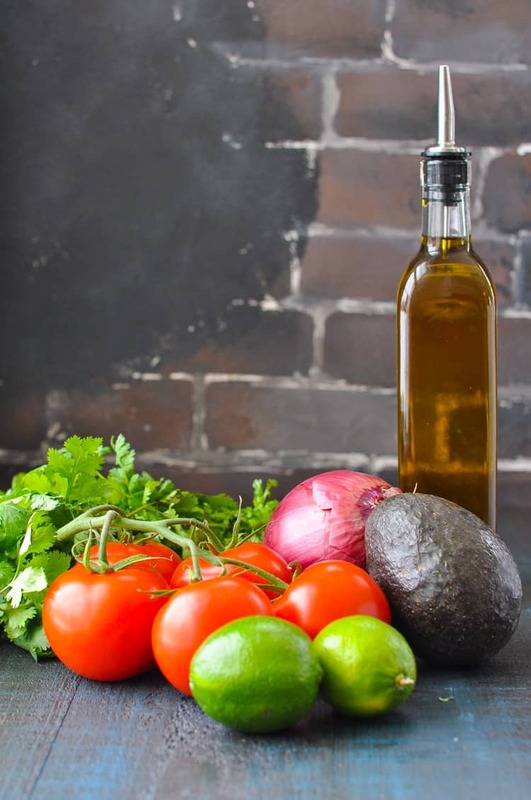 These restaurant-quality ingredients make us feel like we’re dining in a local cantina in Cabo — even when we’re gathered around the table in our farmhouse kitchen in the mountains of rural Central Virginia! Combine all of the pico de gallo ingredients in a large bowl. Allow to sit and “marinate” for at least 15 minutes, while you prepare the quesadillas. To make one quesadilla: sprinkle grated cheese in a thin layer on one of the corn tortillas. Top with an additional tortilla and grill on a griddle or in a skillet until golden brown and crispy on both sides (about 3-4 minutes per side). Slice into triangles and serve with pico de gallo and tortilla chips. 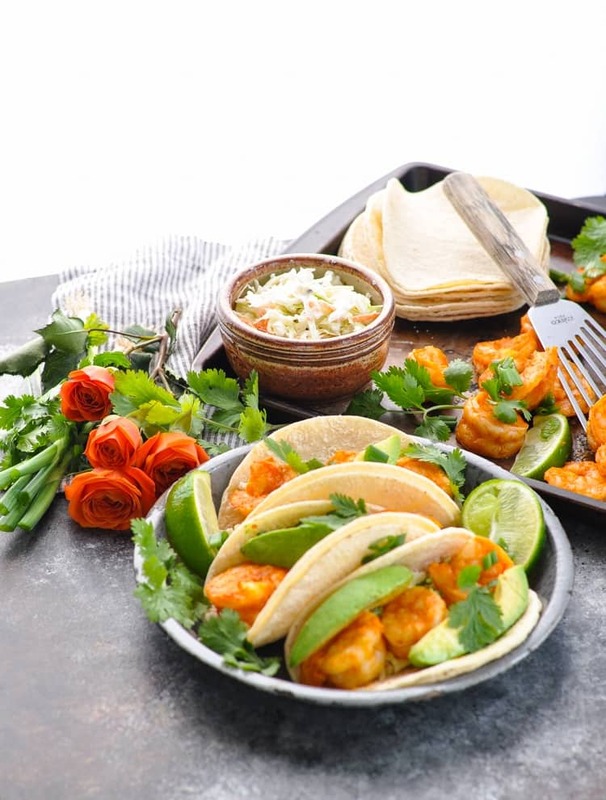 I have also used the mini corn tortillas for my 20-Minute Sheet Pan Shrimp Tacos, and for stuffing with my Instant Pot Mexican Chicken. Both of those meals would be easy options for serving a Cinco de Mayo crowd, and they’re also very fast weeknight meals. If you’re enjoying the tortillas for tacos or fajitas, I suggest serving them double-ply for a more authentic experience! No matter how you choose to use the corn tortillas, you’ll want to be sure to serve the Mission Thin & Crispy Tortilla Chips on the side. What’s a Mexican fiesta without chips, right?! This particular variety has that great traditional thin and crispy texture that’s just like the chips you’ll find in a Mexican restaurant. They’re tasty enough to eat right out of the bag, they’re certified gluten-free, and they’re made with just four simple ingredients and sea salt. For a festive party platter or an easy family dinner, just add fresh veggies to your chips-and-quesadillas in the form of pico de gallo. It’s an instant, colorful party! 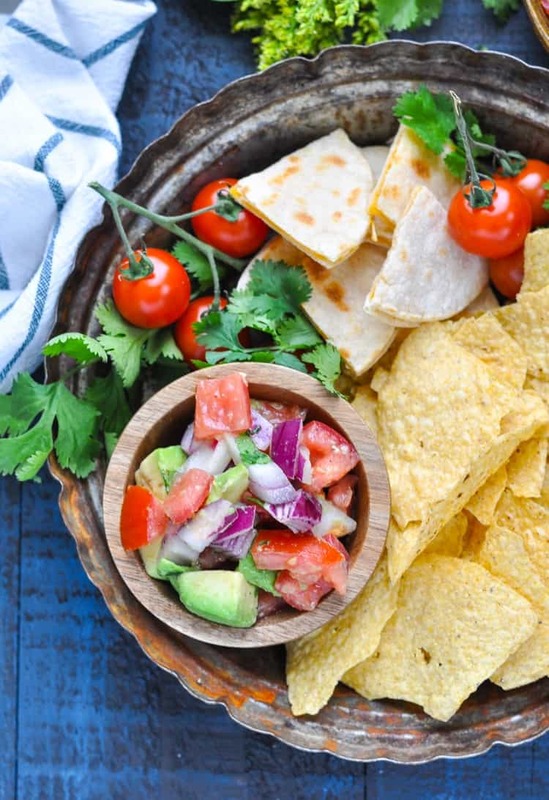 We love the variety of flavors and textures in this simple side, which can serve as a fresh dip for your chips, as an easy garnish for your quesadillas, or as a beautiful side salad to round out your meal. 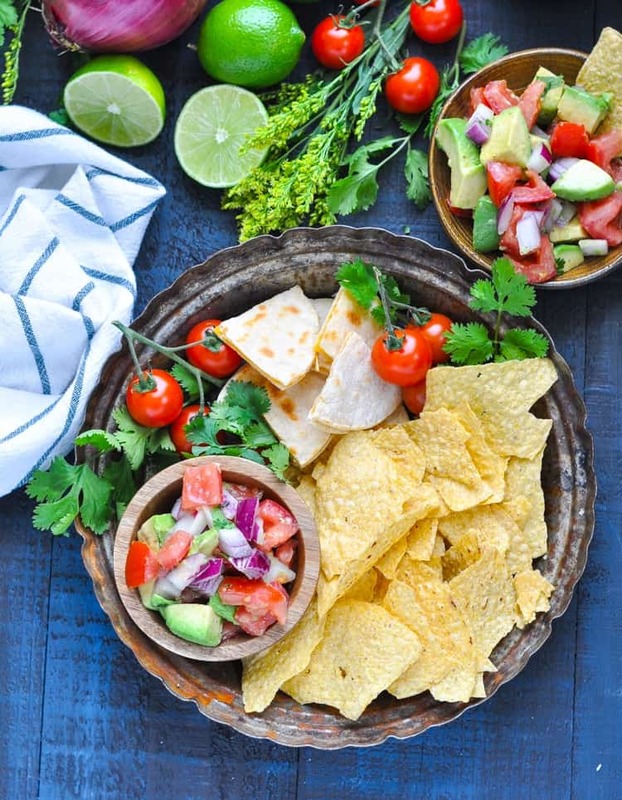 Other great ideas for using pico de gallo is with nachos, fajitas, serve with grilled chicken or fish, add some shrimp for a fresh seafood salad. 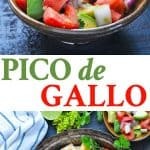 Grab a salt-rimmed icy margarita, because this versatile and easy pico de gallo will complete your Mexican fiesta and will quickly send you into Cinco de Mayo party mode! If you’d like to find even more recipe inspiration for your next gathering, be sure to visit the Mission recipe page for plenty of other tasty ideas. Enjoy, friends! Let everything marinate for at least 15 minutes before serving. 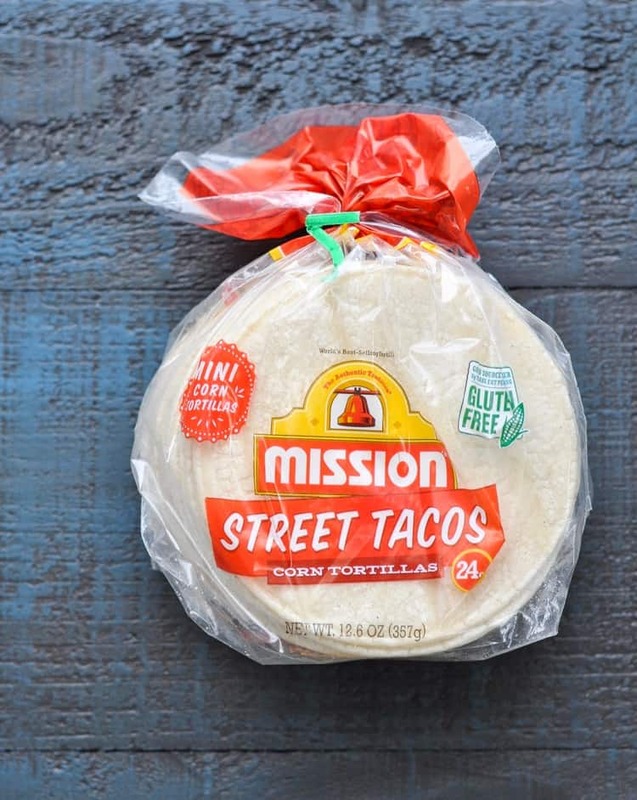 Mission® Street Tacos Corn Tortillas 24ct. Mission® Thin & Crispy Tortilla Chips 9oz. To make one quesadilla: sprinkle grated cheese in a thin layer on one of the corn tortillas. Top with an additional tortilla and grill on a griddle or in a skillet until golden brown and crispy on both sides (about 3-4 minutes per side). Slice into triangles and serve with pico de gallo and tortilla chips. 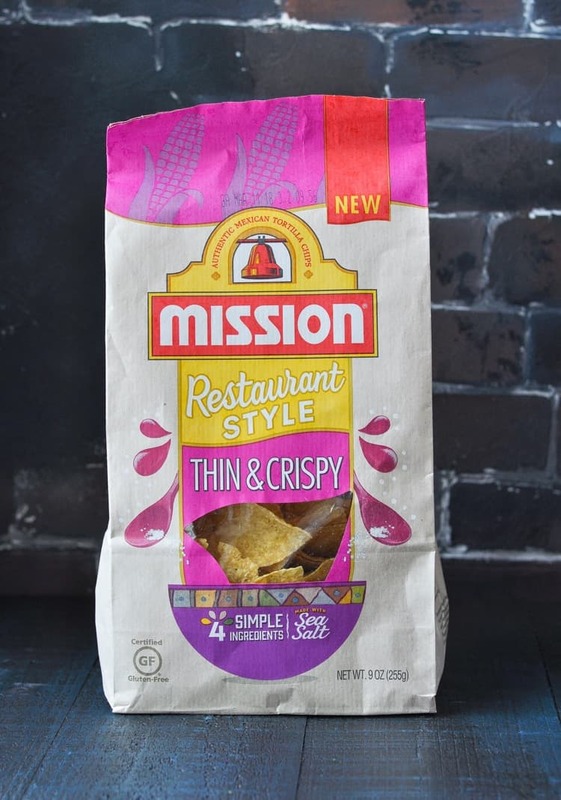 I love mission products but those thin and crispy chips sound so much better, yum! I love how easy this pico is too! 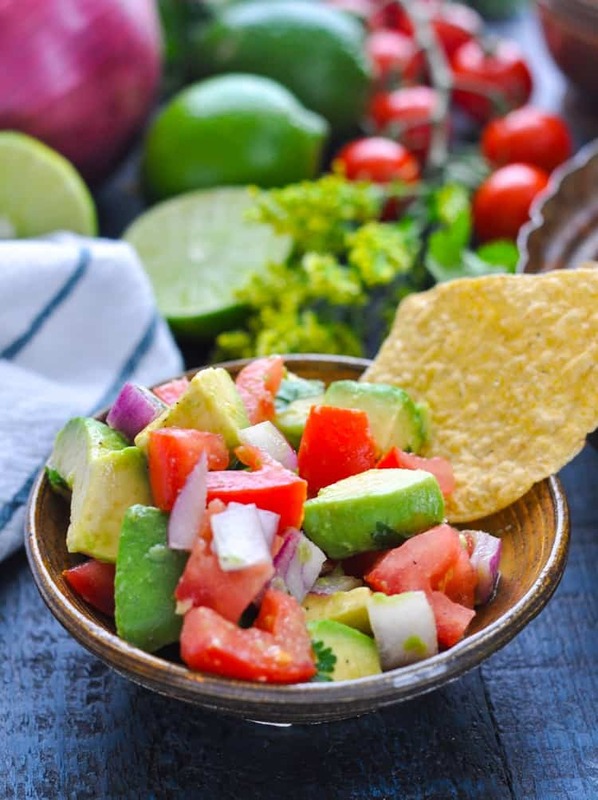 Love the sound of this salsa especially with chopped avocado, yum!